Studies are going here so good, even it’s so comfortable studying in this college. The lecturers are very responsible to everything. This is the one of the best Universities in Georgia. During my studies the first three years are for theoretical studies, the last years will be more concentrating to practice, so these years will help us more in clinics. We have a special program, where we can check our marks, syllabus and anything about our studies. We have a good library, labs and all. 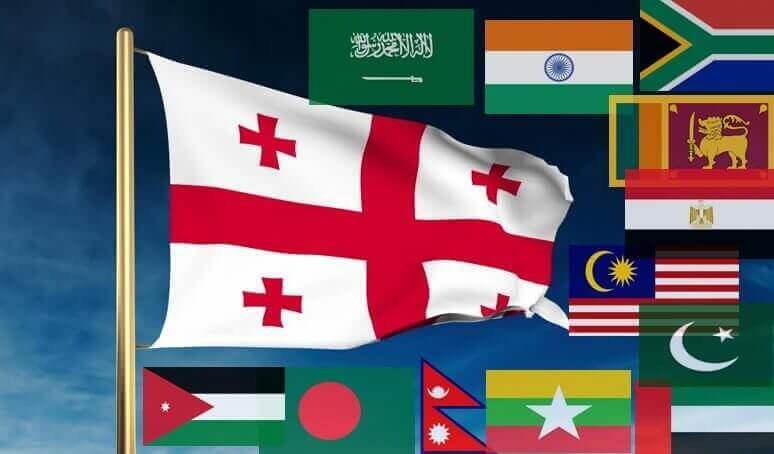 I can advise my Indian friends, that studying in this University, Caucasus International University, it is one of the best Universities in Georgia. I advise students to come and study here, at Caucasus International University, because they will get a lot of good knowledge and high education, especially for the medical students. Hello , I'm Arfa from India, Karnataka. I came in Georgia to get education at Caucasus International University, in Tbilisi. The climate is favorable and good. Here is modern Hostel for Indian students, also there is Indian food and everything which is needed for Indian diet. CIU professional lecturers are very helpful , they teach every aspect of education and subjects very detail manner which is very important for us, we understand everything. I am Raneen Ashraf, I am studying at Caucasus International University, I am from India. I am here to study the faculty of Medicine. Studying at Caucasus International University is really good, all the facilities are great. Also the hostel for international students, which is provided by CIU is very good. It is very nice that we get a homely feel over here by the provided student hostel and we are happy that we got a chance to study at CIU and live in the hostel like this. Hello, I am Sri Krishna Reddy from India. I came to Georgia to study Master in Business Administration in CIU University. When I was coming to the country I was a little scared, but coming in Georgia, I feel very secure, people who are living in Georgia are very friendly and the CIU is the best University to grow our education for under graduation and post graduation studies, so I suggest you the CIU. 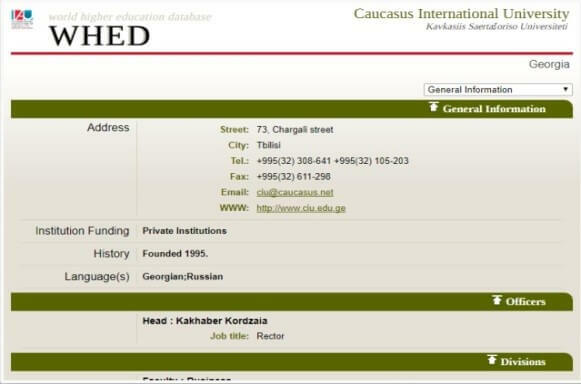 Hey, I am from India and I am studying at Caucasus International University, Georgia. I find education in Georgia is just amazing. They have high quality medical education system and the hostel facilities are just great. Especially for Indian students, as they are providing special hostel facilities for us. So I find really, really great studying here and feel very secure. Education is totally valuable in Georgia. Medical Doctor is a one-stage program, which lasts for 6 years and entails 360 credits (ECTS). The entire program aims to develop the study results defined for medical activities. The program corresponds to the second step of the higher education. The qualification relevant to the educational program in medicine is a certified Medical Doctor (MD). Our Medical Doctor Program corresponds to international standards. Recommendations for the structure of the program have been provided in details in the joint document prepared by WFME and MEDINE- `Global standards for medical education quality improvement based on European specifics`. It conforms to the competencies developed by TUNING/MEDINE in the framework of European qualifications. Based on these recommendations, great attention is drawn to the practical training of the students. In order to strengthen the practical component, it has been planned to teach a number of the clinical disciplines envisaged within the educational program, at the clinical facilities. Why to Study MBBS (MD) in Georgia? The expansion of medical education MBBS in Georgia has become massive from last many decades. Well-practiced and qualified doctors in the world have completed their medical studies from well-known Georgia Medical Universities. The country has now become a major player in providing medical education in the region and students from all over the world come here to become an expert in MD and MBBS courses for a lucrative and flourishing career opportunity. Six-year undergraduate MD degree in any of the renowned medical colleges in Georgia is equivalent to MBBS degree in India. The medical degrees provided by the Georgia universities are recognized by WHO and UNESCO and as such after getting the medical degree, you will have ample of job opportunities to work as a Doctor in many western and eastern countries. Convention (officially the “Convention on the Recognition of Qualifications concerning Higher Education in the European Region”, which is an international convention of the Council of Europe elaborated together with the UNESCO​)​ in 1997 . 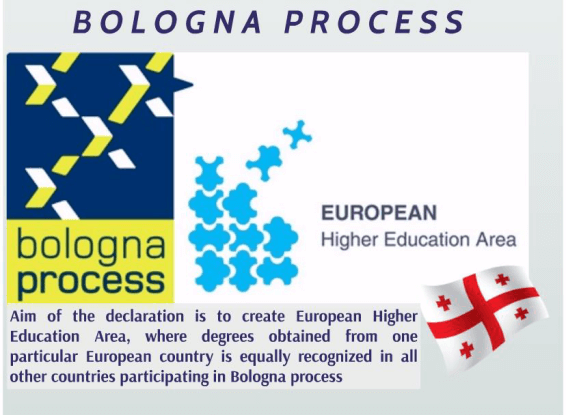 Based on this convention, degrees form accredited universities of Georgia are automatically recognized in remained Council of Europe member countries. CIU Faculty of Medicine has been operating since 1995 and has produced and employed a number of successful medics. In addition, CIU is in the list of foreign Medical Institutions acknowledged by Medical Council of India. 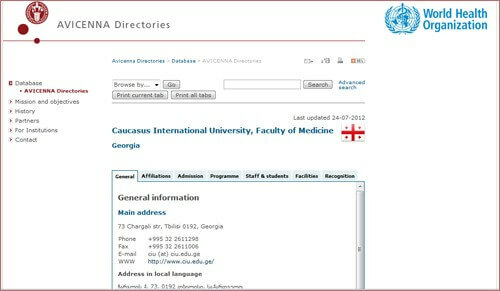 The Faculty offers nine accredited Educational Programs: Medicine (Languages of instruction – Georgian and English), Dentistry (Languages of instruction – Georgian, English and Russian), Pharmacy (Languages of instruction -Georgian and English), Physical Medicine and Rehabilitation (Languages of instruction – Georgian and English). Global Educational Services (GES) is an all-round service provider. Our care and concern continue even when the students left their home countries for Georgia. Our office is offering first-hand assistance to students studying in our partner Universities, including airport pickup services, helping arrange home-stays, opening bank accounts, converting study visas to temporary residency cards and even city tour as well. We stay in regular contact with our students in order to monitor their progress.